Ask anyone what time means to them, and they will give you a different answer. Benjamin Franklin famously stated that “time is money.” Time for the surveyor can mean being out in the field retracing a boundary, drafting a plat or working with a client to help them see their goals achieved. Just like any other profession, time can be a friend or foe for the surveyor. We seem to run out of it more than we have an excess of it. Either way, time marches on as we go about our business. Time, however, is changing the surveyor’s world and how we go about our methods of measurement. While it seems like a crazy concept, time is the major component requiring changes to geodetic procedural processes and how we will determine our locations in the future. We will continue to see advances in hardware and software along with new interfaces and ways to collect and display survey data almost daily, and we will continue to deal with adaptation. However, surveyors must be ready for the next big challenge: a national horizontal and vertical adjustment of the National Spatial Reference System (NSRS) into a new standard. The North American Terrestrial Reference Frame of 2022 (NATRF2022.) is currently being developed by NGS and will replace NAD83 and NAVD88. Most surveyors will ask why we are getting ready for a historic change in datums. Easy — it’s all about time. Just as early travelers thought the Earth was flat and learned it wasn’t through exploration and science, we are learning more everyday regarding how our world is changing. To get a better understanding of how our world is changing, NGS and the geodesy community have expanded the environmental variables of geographic location to areas including gravity, geoid undulations and geopotential data, plate tectonics and crustal evolution, and additional GNSS data analysis through satellites and continuously operating reference station (CORS) installations. By introducing new attributes affecting coordinate data, including horizontal motions induced directly or indirectly by adjoining tectonic plates, horizontal motions induced by Global Isostatic Adjustment, other horizontal motions and all vertical motions in their entirety (per NGS NOAA Technical Report NOS NGS 62), data captured will be used to create an Intra-Frame Velocity Model (IFVM). Data following this format will be now be used to monitor the movement of survey positions from implementation forward. The key factor in which all the data is centralized is time. NAD 83 and NAVD 88, although still the official horizontal and vertical datums of the National Spatial Reference System (NSRS), have been identified as having shortcomings that are best addressed through defining new horizontal and vertical datums. Specifically, NAD 83 is non-geocentric by about 2.2 meters. Secondly, NAVD 88 is both biased (by about one-half meter) and tilted (about 1 meter coast to coast) relative to the best global geoid models available today. Both of these issues derive from the fact that both datums were defined primarily using terrestrial surveying techniques at passive geodetic survey marks. This network of survey marks deteriorate over time (both through unchecked physical movement and simple removal), and resources are not available to maintain them. The new reference frames (geometric and geopotential) will rely primarily Global Navigation Satellite Systems (GNSS) such as the Global Positioning System (GPS) as well as an updated and time-tracked geoid model. This paradigm will be easier and more cost-effective to maintain. These proposed changes to the NSRS, however, are based upon how much we have learned about our changing Earth using GNSS equipment and data collection. Time, as it turns out, is a big factor in how we measure and document locations. A point that is determined exactly here on this day at a specific moment will have moved due to plate tectonics and other variables to there over a period of time. Another aspect of the datum change will be the definition of a new vertical component. Surveyors are familiar with the establishment of NGVD29 based upon mean sea level, and also NAVD88 being based upon the benchmark at Father Point/Rimouski, Quebec, Canada with reference to the International Great Lakes Datum of 1985. What science has taught us in the years beyond NAVD88 is that there is a greater force at play when it comes to the vertical piece of geolocation: gravity. Yes, gravity keeps us on the ground and causes water to flow downhill, but the development of gravitational studies has led to incredible discoveries of how gravity affects elevation. It was always assumed that the gravitational pull on the earth was uniform worldwide, but with the development of instruments that can measure and map the variations in gravity, NGS will be redefining the vertical datum through a program called GRAV-D. NGS is currently flying in various portions of the U.S. and is scheduled to be completed by 2021 in order to roll out with the new horizontal program in 2022. So, it turns out that time has been affecting not just our productivity but also our positions on the earth. Another famous quote by Paulo Coelho does hold true: “Time neither moves nor is stationary. Time changes.” Time has passed since this article began; did you feel the earth move? What about our survey monuments and state plane coordinates? For many surveyors, the main question is simple: why now? What is so bad with our existing NAD83 and NAVD88 datums? The reason is very simple; staying current with our favorite tool in the toolbox: GNSS. Surveyors have always been about “monuments” and perpetuation of data from established points located on the face of the Earth with published and/or known values. This concept has become even more important to the surveying community once the proliferation of geographic-based and state plane coordinate data was published for all to utilize. I touched on the surveyor’s use and data collection/perpetuation of location values in a past column (GPS World November 2016). As long as NGS updated the national database with more information and a simple adjustment every so often, life was good and simple. But now we have worlds colliding; static monuments with published horizontal and vertical values in one corner, while in the other corner is the new paradigm of ever shifting crustal plates and changing positional values monitored by GNSS data through satellites and a network of CORS located worldwide. Okay, maybe it won’t be quite that bad but there will be many surveyors that will have trouble wrapping their minds around the new concept of “moving monuments.” Our reliance on state plane coordinate systems (SPCS) is at an all-time high with the sharing of data by various parties being more seamless than ever. The notion that a permanent monument’s positional values will be constantly changing is a head-spinner to most. NGS has also stated that their new system and procedures will not maintain data values for SPCS (see NGS State Plane Flyer). There are currently 125 SPCS zones and 3235 county systems throughout the US and territories in place that rely on NGS data as the main framework, so having tools for reference and conversion in place will be crucial. Thus, it will be a herculean task to create a procedure/process to easily pass coordinate values between our many static systems worldwide and the new dynamic but very robust system underway from NGS. The good news is that we have very intelligent people in the surveying and geodetic community who are working on solutions for the masses. The beauty of newer technology is how quickly hardware and software can be adapted to fit these new data conditions. Getting the word out on these changes and educating our profession will be a key factor to its success. While the use of GNSS has enabled the discovery of time as a significant variable in geolocation, it has also expanded out coverage area of coordinate systems to much larger areas. 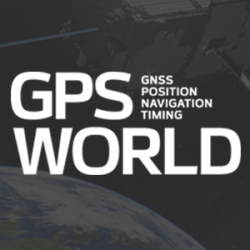 Distances that could not be computed prior to GNSS are now easily attained and large projects can be managed within a common coordinate system. County, regional and state agencies can now create large-scale GIS databases that utilize a single coordinate system as well. However, there are two differing tracks being formed with the continued development of the new datum by NGS. While the new datum will become more precise and predictable, there are movements in opposing camps to make changes in user coordinate in the furthest possible ways: statewide single zone system versus county/regional low distortion projection (LDP) systems. They both have their strengths and weaknesses, and will depend on the application of the user to choose the appropriate system. Most states currently have two or more zones so there potential to combine all zones into one, but a major drawback will be the loss of accuracy away from the defining points. For GIS users, this accuracy will more than adequate and will allow the merging of data from across the state into one unified system. Surveyors, however, are an interesting bunch in that they accept only the most accurate AND precise measurements. The growing use of LDP is rapidly changing the implementation and management of coordinate system in smaller areas such as counties and regional DOT districts. However, both systems have a place in our surveying and mapping world. NGS has stated that while they will help with transformation software and apps, it will leave the decision of legislative standards to each state. It will be paramount that each state study what makes the most sense for its users and pass the appropriate legislation. As I look back and realize how much has changed with modern technology and overall knowledge of our profession, it is with much anticipation how much more will change with advancements we don’t even know about yet. The electronic distance meter (EDM) was revolutionary for many surveyors and I’ve waxed poetic about my feelings regarding RTK GNSS in past columns (GPS World May 2016). Once again, however, technology and information based upon its use has revolutionized our data system. As a profession, surveyors have embraced GNSS use and data collection from the early implementation of the system. And while the advances of UAV use, laser scanners and LiDAR along with software improvements have revolutionized data collection, these proposed coordinate improvements by NGS will bring more potential quality information into the surveyor’s hands. And while time is money as Mr. Franklin famously stated, 2022 is just around the corner. A good friend of mine is famous for saying: “Good coordination begins with good coordinates.” The work performed by NGS is helping us do just that. The entire surveying, mapping and geodetic community has lots to accomplish to be ready for the changes from NGS. Let’s get to work.